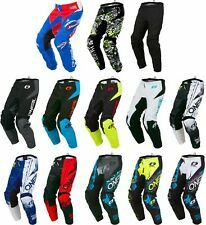 Fox 180 Mastar 2018 Pants MX Motocross Enduro Motor Bike Pants 38" - CLEARANCE! FOX 180 Mastar Pants Yellow 2018 - REDUCED TO CLEAR! MOTORBIKE PARTS. The Fox 180 Pant uses our RAP 'Rider Attack Position' construction for greater comfort while in the riding position. For dependability and longevity, the pants use a robust 600D polyester construction on the main body. Yamaha Size 26 Motorcross Trousers. Worn once, very good condition. Inside leg measurement is 63cm and the waist is 13 inches and would suit from ages from 10 onwards. Collection can be arranged. Fly 2017 F-16 Adult Pant (Red/Black) Size 42. find your part. A signature will be required. However, delays are occasionally inevitable due to unforeseen circumstances. Brooks Barn. Sinisalo Vintage Motocross Pants 34 Used. Condition is Pre-owned. Good uses shape. Some signs of wear, see pics. 1 x VENTilate MX Pants. Zippered front intake and back exhaust to prevent "ballooning" of the pants. Fully adjustable waist with micro ratcheting closure. Durable premium fit and finish. Ergo fit 600D outer core for comfort, fit and durability. 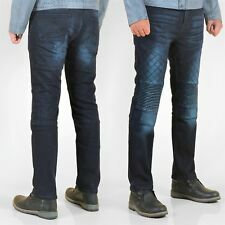 KTM Pounce Pants Off-Road Motocross Motorcycle Trousers 2019 RRP £107.88!! KTM Pounce Kids Pants Off-Road Motocross Motorcycle Trousers New RRP £92.70!! When you’re riding off road it’s important to ensure that all of the clothing you’re wearing plays its part effectively when it comes to safety. When investing in a new pair of motocross off road trousers, take care to ensure that they will offer all the necessary protection as well as matching the rest of your motocross wardrobe so you can stay comfortable, cool and protected when out riding. Here on eBay, you will be able to find a wide range of new and secondhand motocross off road trousers from some of the largest brands including Wulfsport, Alpinestars and O’Neal. 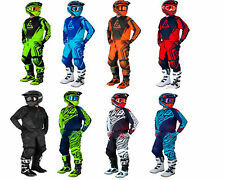 Motocross trousers are available in a variety of different colours and designs, all offering a high level of protection for both professional and leisure off roaders. Stay comfortable, cool and protected in motocross off road trousers. Motocross off road trousers are typically constructed from poly-fabric or nylon and certain trousers are coated in PU for additional strength. Look for trousers with reinforcements on the seat area and leather inner leg panels for heat and abrasions resistance. To increase your performance opt for trousers that are lightweight and have ventilated mesh for breathability and airflow. Trousers with stretch panels increase comfort, fit and flexibility so you can easily move around on and off your bike. For added protection, opt for trousers with knee padding. If you regularly ride in wet conditions make sure you go for trousers that are waterproof so you always remain comfortable regardless of the weather. Look for waterproof trousers that are also breathable to prevent overheating. Certain styles come with an adjustable venting system so you can control the airflow depending on the weather. Other waterproof off road trousers feature a zippered expansion flap protected by an outer layer so you can keep the elements out whilst also allowing airflow.